“Additional perspectives and insights” on Joseph Smith’s First Vision? The LDS Church released a new video of Joseph Smith’s First Vision a few weeks ago (an explanation of this Vision can be found here). 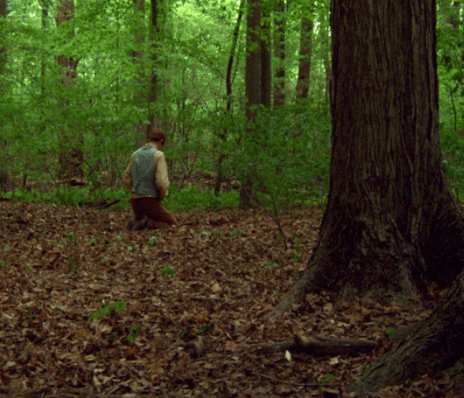 “Ask of God: Joseph Smith’s First Vision” begins with the explanation that, as there are “at least nine accounts” of this visionary experience recorded by Joseph Smith and “some of his closest friends,” the new video “draws upon all” of them. I watched with interest to see what “additional perspectives and insights” the video would portray, and I wondered how this presentation would manage to incorporate all the contradictory facts contained in nine First Vision accounts. Of course, “Ask of God” does not attempt to reconcile the conflicting elements of the First Vision story and therefore does not contradict the official First Vision story as canonized in the LDS Scripture, Pearl of Great Price. Similarly, the message Joseph claims to have received from the heavenly being/s varied in the different versions. In several of the earliest accounts (1832, 1835, and 1840) Joseph said he was told that his sins were forgiven. That message of personal forgiveness disappeared from the story after 1840, but it is included in the “Ask of God” video. The 1840 version of the First Vision related that, according to the heavenly beings, all churches were believing incorrect doctrines and were not “acknowledged by God.” This important message, the very basis for the Restoration (i.e., the LDS Church), was absent from the earliest versions of the story. While it is found in all later retellings, it is largely missing from the “Ask of God” video. In the video, Joseph Smith is told that the world was lying in sin; people had turned away from the gospel and didn’t keep the commandments; they gave lip-service to Christ but didn’t love Him. In all of this the video quotes from the 1832 version of the Vision; this message that Joseph said he received imparted nothing more than what the Bible says about the condition of fallen humankind. This has always been and continues to be part of the evangelistic message proclaimed by Christians everywhere. It doesn’t even hint at the current Mormon doctrine that says the Christian churches of Joseph Smith’s day “were all wrong…that all their creeds were an abomination in [God’s] sight…that those professors were all corrupt” (Joseph Smith–History 1:19). The “Ask of God” video leaves a “complete apostasy” of Christianity out of the picture. It does, however, include one of the heavenly beings telling Joseph Smith that he must “go not after them” — an equivalent to the official version’s revelation that Joseph “must join none” of the Christian churches, having been twice “forbade” to do so by Jesus Christ. The “Ask of God” video also portrays Joseph receiving a promise that “At a future time the complete truth of the gospel will be revealed to you.” This divine declaration is the Mormon Church’s basis for asserting that Joseph Smith is God’s appointed prophet for these latter days, leading to the declaration that he “has done more, save Jesus only, for the salvation of men in this world, than any other man that ever lived in it” (Doctrine & Covenants 135:3). Even so, this important element of the First Vision also did not appear in the story until 1840. It was subsequently included in four of the nine versions of the First Vision but, interestingly, it is not found in the official version. Considering President Grant’s criteria for determining the validity of Mormonism, look at these nine versions of the First Vision. Did Joseph see God and converse with Him? Not necessarily, according to the 1835, 1840 and 1841 versions of the First Vision. Did God introduce Jesus Christ to Joseph Smith? Not according to the 1832, 1835, 1840 and 1841 versions. Did Jesus tell Joseph Smith that he was to be an instrument in the hands of God to re-establish the true gospel on earth–or at least tell Joseph that the true gospel would later be revealed to him? Not according to the 1832, 1835, 1842 (official version), 1843 and 1844 versions. Is Mormonism a myth? Using President Grant’s criteria, people investigating Joseph Smith and his claims during the first 20 years of Mormon history would have had to conclude yes, Mormonism is a myth. The “Ask of God” video “draws upon all of the written First Vision accounts” by using fragmented phrases from each, but it does next to nothing to “provide additional perspectives and insights” into this foundational and imperative experience that is the basis of Mormonism. In fact, the video keeps well-hidden the shaky foundation on which Mormonism stands. Many more First Vision discrepancies could and should be examined. The LDS Church addresses some of them in a Gospel Topics essay at lds.org. I recommend investigators also include Eric Johnson’s detailed response to the Mormon Church’s essay in their research.